From campsite to summit, trail to mountain, Vango makes every inch of the outdoors your playground. Our continued research and development puts us at the forefront of innovation, with a complete offering of technical tents from the perfect first shelter through to those completing extreme expeditions. We strive to evoke The Spirit of Adventure in everyone. Our F10 Series signifies the pinnacle of our collections, whether fast and light or high altitude camp. These tents are designed to perform with you. Trek Pro is tried and tested, with industry benchmark models designed for backpacking and multi day activity. You’ll find the perfect model in this line up. Check out the new Exo skeletal constructions spearheading this range. Trek Experience offers Vango DNA and quality, at great value pricing, ensuring those new to wild camps can trust and rely on their kit. Whatever your outdoor needs, wherever you go, Vango will go. This year, fabric innovation has been a key development area for the Vango team. Our research and development has resulted in theintroduction and updating of our fabrics which will beat the elements come rain or shine. 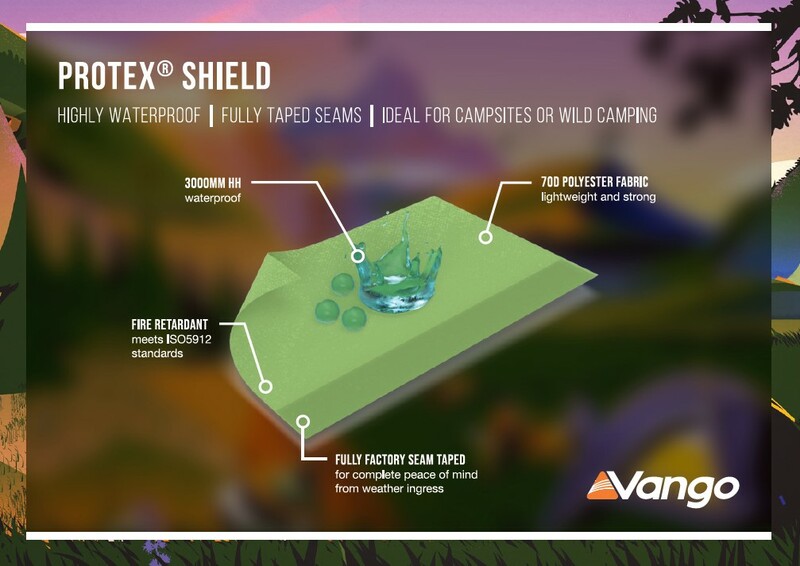 Whether you are a seasoned campsite camper or like to dabble in a spot of wild camping; ProTex® Shield will protect you from the elements with fully taped seams and a highly waterproof fabric to keep you dry whatever the weather throws at it. Sentinel Active is utilised in both our Trek Experience range. Lightweight and extra strong, ProTex® RS will protect you from the harshest outdoor environments. 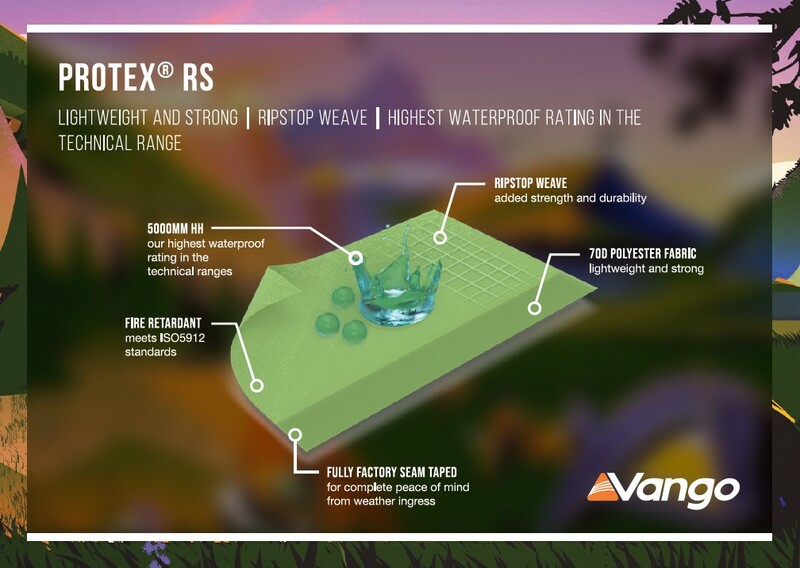 The combination of the highest waterproofing in our technical range, our light and strong polyester fabric, and the added ripstop weave make ProTex® RS the perfect choice for our Trek Pro tents. This fabric is a staple feature of our Trek Pro collection. 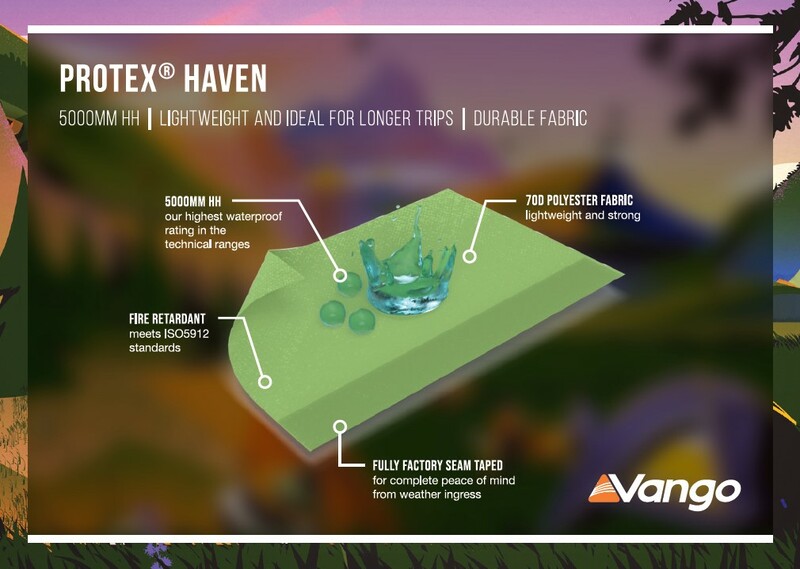 When the elements open up and you find yourself sitting out a storm in your basecamp, ProTex® Haven is the perfect roof over your head for as long as the weather demands. With our highest waterproof rating in the trekking range, fully taped seams and a strong but light fabric it’s perfect for longer trips in the wild. Although fabric has been our key innovation this year, we haven’t stopped there. Our range of Technical tents have been updated with fantastic features including; Yunan eco-alloy poles, part-mesh door, added ventilation. We also have a completely new X-pro range feature so exo-skeleton poled in 4 new feature packed tents. Strong and unwavering like its namesake, Cuillin sits at the top of our Trek Pro range and boasts a classic geodesic construction. Incredibly stable and freestanding, Cuillin will shelter you from even the roughest elements found in the exposed, rocky landscape of the Cuillin mountain range. Welded windows on both porches let you assess your environment from the shelter of your tent while the sizeable inners have lots of head height for a more comfortable expedition, even if you have to sit out a storm. View the full range of Technical tents.